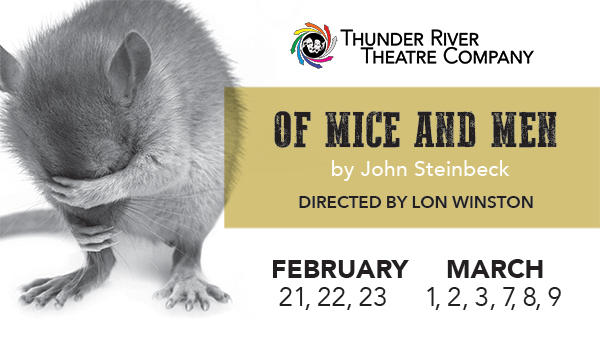 John Steinbeck’s famous Depression-era drama comes to life on the TRTC stage. Two migrant farmhands share a dream to settle down on their own slice of land. Quick-witted George is caretaker and best friend of Lennie, whose mental disability, brute strength and a dangerous fascination for petting soft creatures leads to a darker conclusion. Tom Cochran, Gerald DeLisser, Nick Garay, Dana Gaubatz, Brian McIsaac, Sonya Meyer, Bob Moore, Willie Moseley, Owen O'Farrell and Corey Simpson.